June 27, 2018 – The Jewish Community Relations Council/AJC (JCRC/AJC) is seeking physicians and other medical professionals to volunteer at an Interfaith Health Fair for underserved residents of Detroit, to be held on Sunday, August 12, from 9 a.m. – 5 p.m. at Munger Elementary School in Detroit. Physicians and other healthcare providers are being recruited to offer their services for four-hour shifts during the program. The Interfaith Health Fair is being held in conjunction with the National Council of Jewish Women’s/Michigan Back 2 School Store, which provides new clothing, backpacks, personal supplies and personal care items. The health fair will offer free medical screenings to the parents and guardians who accompany the children to the Back 2 School Store. The August health fair is the seventh free clinic sponsored by JCRC/AJC in recent years. 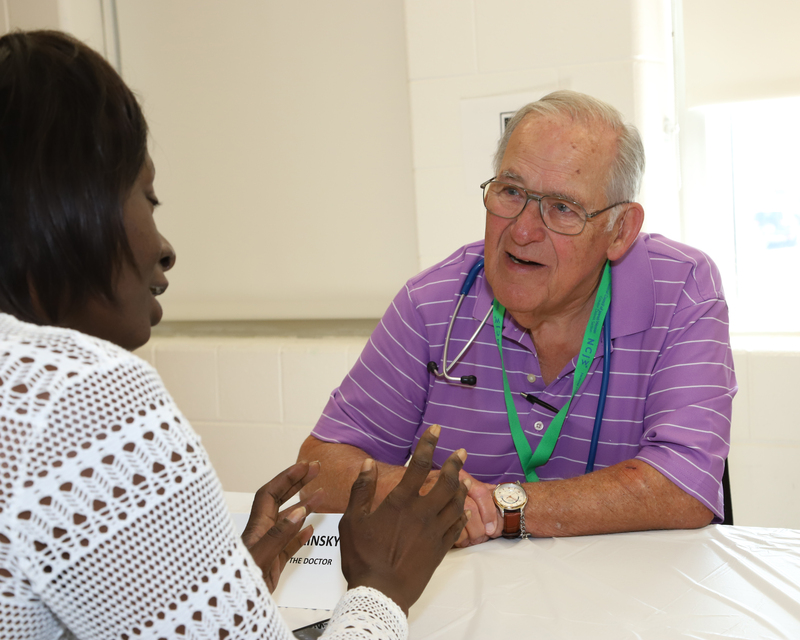 In addition to giving clients access to potentially life-saving information and referrals for their health care, the health fair affords participating healthcare professionals the opportunity to engage with their colleagues in different faith communities and enjoy a meaningful interfaith experience. Protocols will be in place for patients referrals, and, if necessary, urgent treatment. The clinic will feature education stations with informational literature, and personnel will be on hand to assist with referrals to direct service agencies. For more information, contact Naomi Levine at the JCRC/AJC (248) 642-2656 or nlevine@jfmd.org.